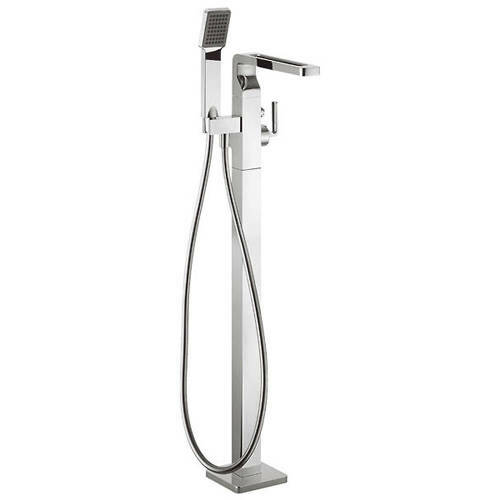 Crosswater KH Zero 1 > Floorstanding Bath Shower Mixer Tap With Shower Kit. 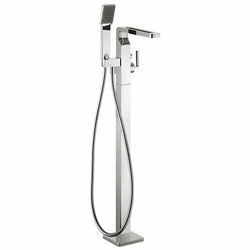 KH Zero One floorstanding bath shower mixer tap in chrome with shower kit. Shower handset and hose included. Suitable for high water pressures (2 bar). 15 Year guarantee: Crosswater guarantee their KH Zero One taps and showers for 15 years. 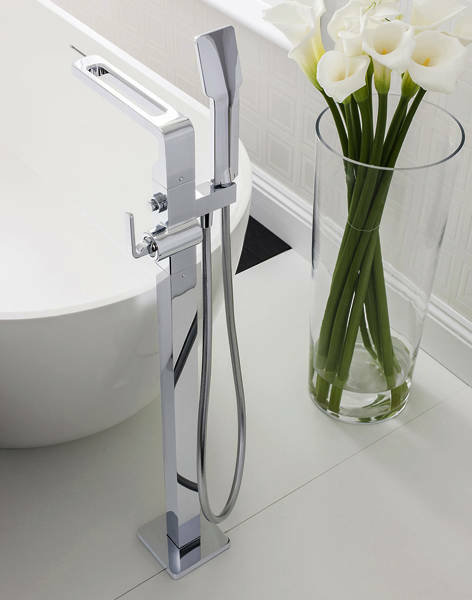 KH Zero 1 range of chic bathroom taps and showers have been exclusively designed by Kelly Hoppen MBE. The unique style of this collection will make your bathroom stand out from the crowd.